Education: Gibson holds a Juris Doctorate from the University of Alabama School of Law. 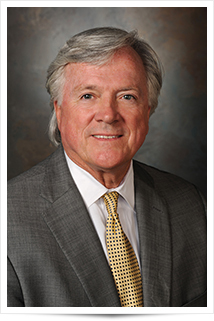 Bar Admission: Gibson was admitted to practice law in Alabama in 1974. Professional Memberships: He is a member of the Tuscaloosa County Bar Association, the Alabama State Bar Association and the American Bar Associations. In addition, he is a member of the Alabama Association of School Board Attorneys and the Alabama Defense Lawyers Association. Community Involvement: A native of Troy, Alabama, Mr. Gibson is a member Phi Delta Phi. He served as a Law Clerk in the Court of Civil Appeals of Alabama from 1973-1974. He is also Chairman of Civil Service Board of Tuscaloosa. He served as Legal Counsel to the West Alabama Chamber of Commerce in 2001-2002 and is currently serving as Legal Counsel to the Tuscaloosa City Board of Education. He is a registered mediator with the Alabama State Court.